Festival Threads is being delivered in association with this year's #BIGDISCO festival, so expect extra sparkles. 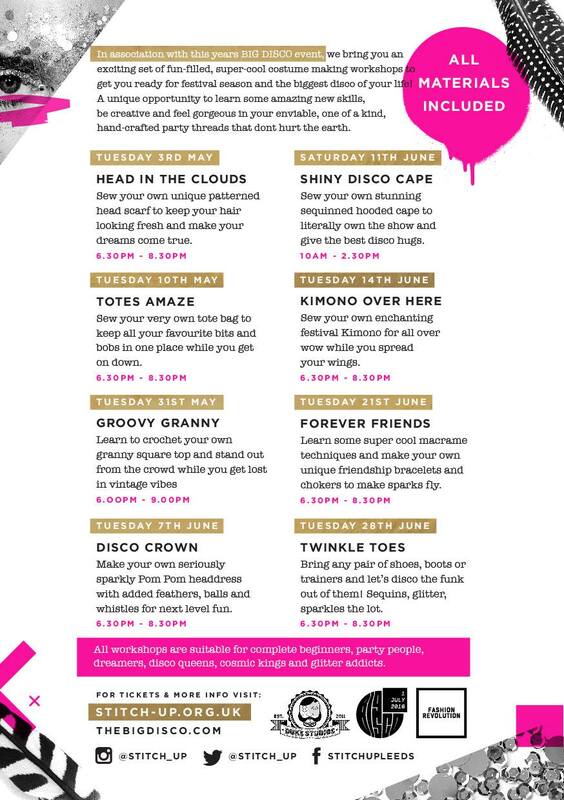 I'll be helping people to make their very own fab festival kimono and sequinned disco capes, and I can't wait try my hand at all the other workshops (desperate to make myself a sparkly pom-pom headdress!). So come learn to sew, crochet, pom-pom and get generally all-round crafty at Duke Studios with some super talented makers (and me!). For full details and to book your place see here. 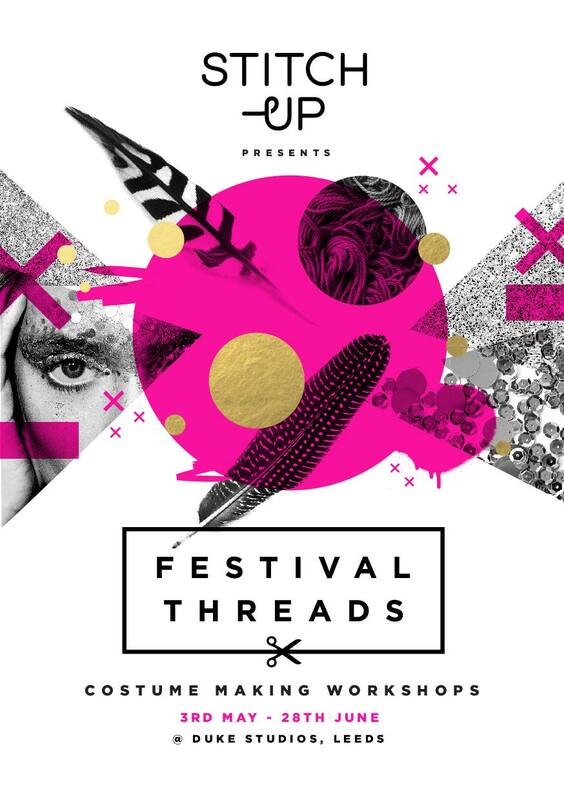 It's been lots of fun and super inspiring to meet like-minded makers, and I'm looking forward to meeting more people with an interest in all things crafty through the Festival Threads workshops! 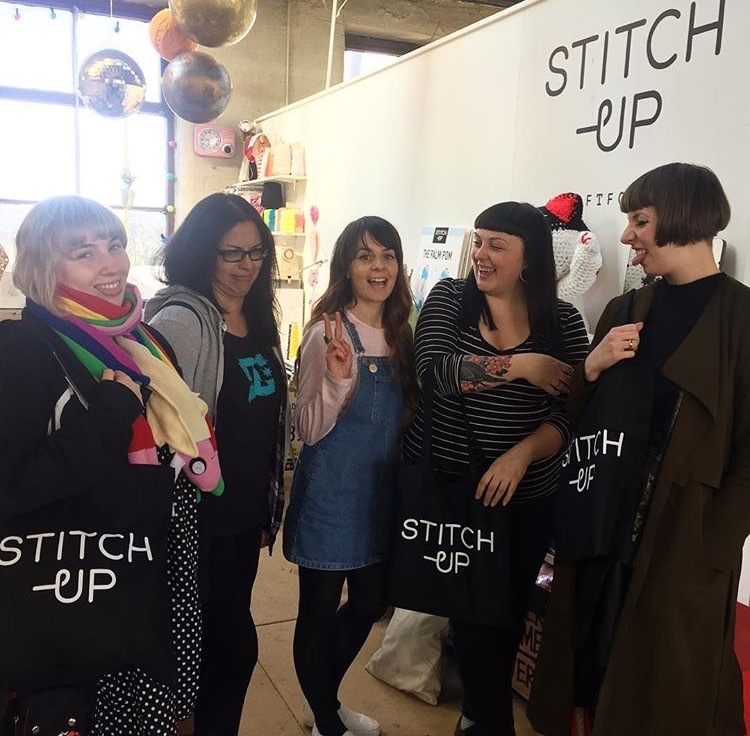 Follow Stitch-Up on Twitter and Instagram, and check out the Facebook for all the latest news and events! That sounds amazing Shauni!! Wish I lived up there so I could come and make a disco cape!! Me Made May 16: The Pledge!